Fashion notoriously pushes the boundaries, it always has and it always will. For some, when it comes to their wardrobe, experimenting with a print is just a step too far out of their comfort zone. I, however, love a good print and my favourite of all is leopard print. I have loved leopard print for as long as I can remember. As a little girl, I spent most of the time dressed up as a leopard. Growing up, when it was no longer possible or socially acceptable to be constantly dressed as an animal, I found ways to work the print into my outfits. And, heading off to university, my stuffed animal leopard, Biscuit, accompanied me. So, if Queen Kate won’t be changing her spots any time soon, why should we? With leopard print firmly in this season – though has it ever really been out of season? – banish all thoughts of Bet Lynch to the back of your mind, here are a few styling notes on how to work leopard print in any season, for any occasion, and always look classy. Most important of all when working this trend: limit yourself to one leopard print item or accessory with your outfit at any given time. If you’ve opted for a leopard print blouse, don’t pair it with a leopard print bag too. The key is to let the print be the statement piece of your ensemble with the rest of your outfit simple and minimalistic to complement. Less is always more. That’s not to say the rest of your outfit need be dull. Leopard works really well paired with bold, bright colours. Just ensure you’re sticking to solid block colours, like pillar box red, canary yellow or forest green, or safety neutrals white, black and tan. Thinking of broaching the leopard look for the first time? Ease yourself in with accessories. Starting with the smaller details of an outfit allows you to play around with a trend without committing too seriously to a certain look. Change your mind halfway through the day about the leopard print scarf you’ve draped around your neck – not to worry, you can easily ditch it by burying it at the bottom of your bag and no one will be the wiser. It’s a slightly different story if you decide you no longer want to wear your skirt… I’d recommend a leopard print pony hair cross body bag. With a stripe of leopard cutting diagonally across your outfit, it’s subtle enough to keep you in your comfort zone while still incorporating the print. Or alternatively, a purse allows just a flash of leopard print every time you pull it out of your bag. Confident you’ve conquered accessories, then put your best foot forward and work trendy from head to toe. From velvet ankle boots to sport style trainers, with brogues and ballet flats in between, leopard print is gracing all footwear, so get stylish with your shoes. And finally, returning to where it all began, the leopard print coat. A coat is a trophy item, something worth investing in that you can wear again and again. And in Lancaster, you’ll need to. If it worked for Jackie Kennedy, it will work for you. 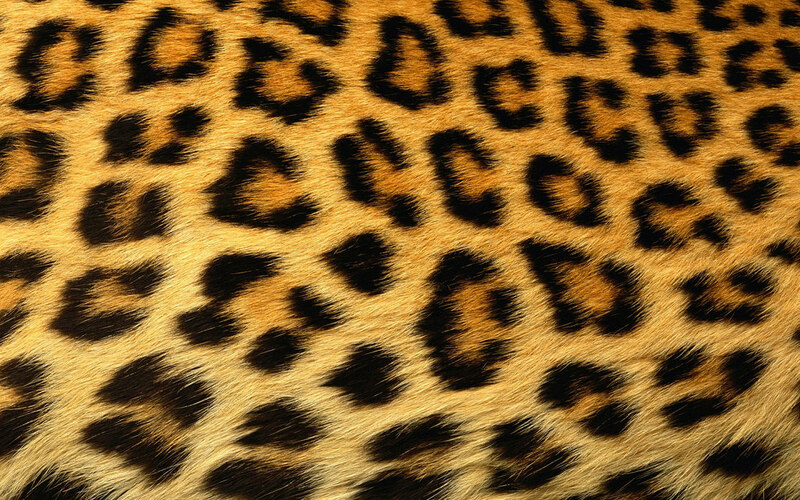 Shops up and down the high street are currently decorating their windows with leopard print coats in an array of fabrics. There’s no reason it need be a fur coat a la Kate, opt instead for a wool blend long-line blazer. Or, for simply a touch of leopard on your outerwear, invest instead in a leather jacket with a faux fur leopard print collar. Stick to these styling notes and you’ll be spoilt for choice, so go wild with leopard print and stand out from the pack. Next articleAmber Rudd and Theresa May have declared war on international students - so why should I stay?